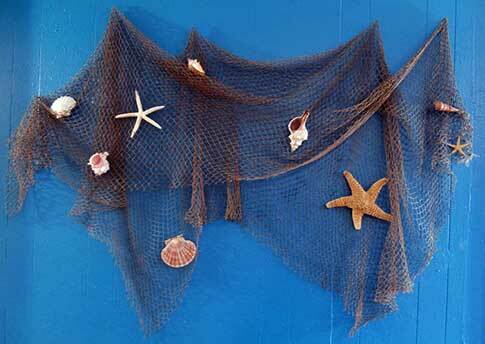 Wall decor Net with shells and starfish. The fish net set comes with six sea shells and three starfish as shown. They're easy to hang. All you need are some nails and a hammer. If you prefer you can buy the fishnet without shells and starfish.